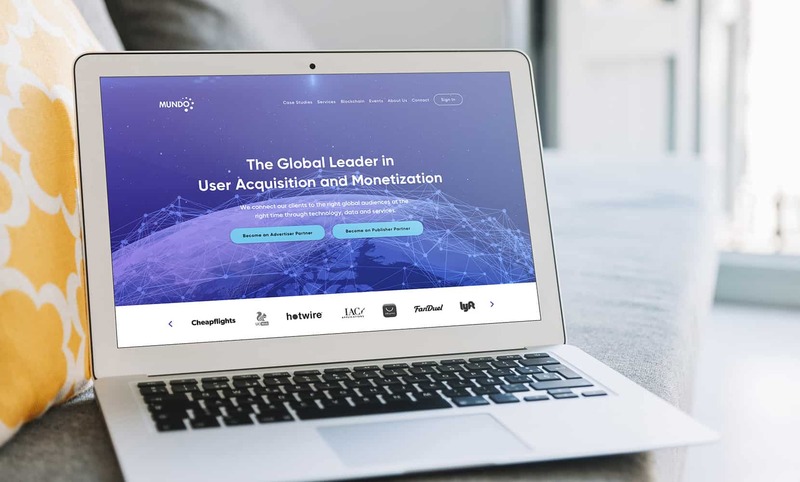 Global leaders in user acquisition and monetization, MUNDO was looking to modernize their look with a full-scale rebrand that involved updating their website, logo, colours, fonts, and business cards. Primarily, the company was seeking out eye-catching visuals to enliven their look with pops of colour. Due to MUNDO’s worldwide acclaim, we aimed to maintain a dignified appearance, developing hues on the blue spectrum, classic “globe” colours, to indicate their global influence.